I have this fond memory of watching a nerve-wrecking match between Manchester United and Real Madrid in February last year. We didn't have any sports channels on the TV in our apartment in Paris so on that still-cold night, Shah and I bundled up and trotted to a nearby pizzeria that was always playing football matches. (or what some of you call 'soccer'). I would utterly fail at football trivia, though. I have to keep teaching myself what offside is; there were times when I got confused when a team puts on their away jersey that's not in their signature colour; I don't necessarily want to watch every single match there is (partly because I can't handle the suspense) etc. etc.. 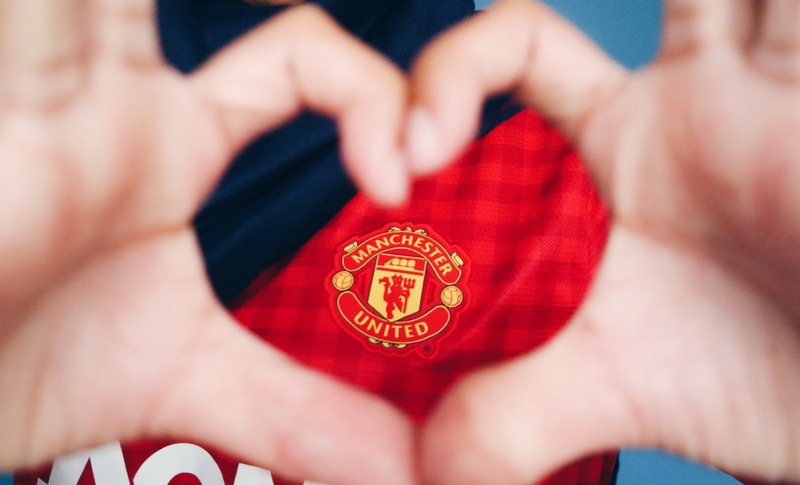 Despite all of these shortcomings, I still am, through and through, a proud Manchester United fan. It might be by association, by loyalty, but should that matter when MU got themselves another fan? We might have had a rough and tough last season (notice how I used"we"? I'm turning into Shah now) and we're still rocky in the current season but when you have real love, that's when allegiance and devotion (and pride) kick into place. Back to that Manchester United vs Real Madrid match I watched in Paris: I sat beside Shah with a mini Haagen Dazs and a cup of tea (how macho were my football snacks?) with my eyes glued to the screen with my heart racing. One player stood out clear as day for me during that match, and it wasn't even a United player; it was Angel Di Maria. I didn't know Di Maria existed until that night. I kept clutching Shah's arm going "Shah, who IS this guy? He needs to leave, pronto. Someone please sub him!" because he seemed to be everywhere in that match, thwarting MU's players' move. He did get subbed towards the end and I literally sighed with relief then. The heart-stopping match ended with 1-1 (we had to celebrate the goal quietly because we were the only two MU fans in the pizzeria and there were a bunch of Real Madrid fans around us). I don't really pay much attention to a player who was not in MU—until I saw Di Maria. And, what do you know, fast forward to August 2014, and the rumours were true: Angel Di Maria was joining Manchester United. People, DREAMS DO COME TRUE. Basically, there is a high chance that my next MU jersey will have Di Maria's name on it. p/s: Not this season's one since the huge Chevrolet sign at the front is a bit of an eyesore. Next season, maybe? Jersey: Old Trafford Stadium; I couldn't make a decision on a player's name so Shah picked Van Persie for me. Sending some virtual Dutch love alongside my Argentinian one! 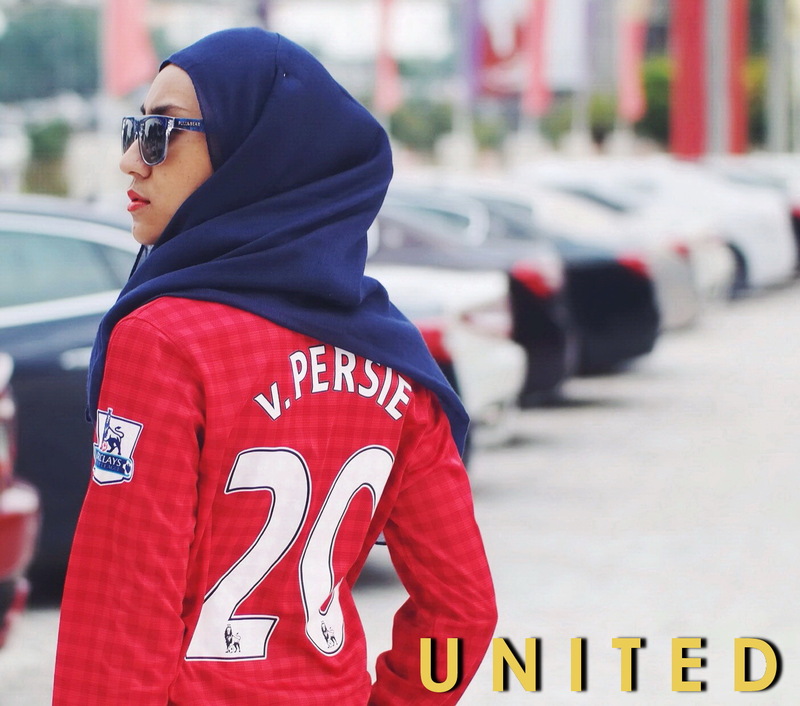 Extra tip: There was no long-sleeved Manchester United jersey available for females when I was in Old Trafford (whyyy?) so I headed to the little boy's section and got myself the largest size available. Perfect fit!